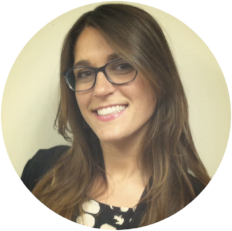 Lauren DeSouza is a Licensed Professional Counselor specializing in treating adolescents and adults struggling with Addiction, Anxiety, Depression, Adjustment/Transition difficulties, and Co-Occurring Disorders (substance abuse alongside mental health issues). Lauren has experience working with a diverse population in addressing issues such as grief and loss, relationship difficulties, self-esteem deficits, financial issues, job stress or loss, legal problems, identity issues, and difficulties finding a meaning and purpose in life (also known as an existential crisis). Lauren earned a Bachelor's degree in Psychology from Pennsylvania State University. She obtained her Master's of Science degree in Counseling and Clinical Health Psychology from Philadelphia College of Osteopathic Medicine (PCOM) where she specialized in addictions. Lauren has experience working in community mental health outpatient settings as well as inpatient settings. Regardless of presenting issues or diagnosis, Lauren believes that it is critical for clients to feel understood and validated. She focuses on building a therapeutic relationship with individuals to better understand their strengths and needs. Once a working relationship is established, Lauren's clinical approach is primarily Cognitive Behavioral which emphasizes a greater understanding of one's thought patterns and the role those play in feelings and behavior. She also focuses on the role early messages and beliefs, which developed throughout one's childhood, play in impacting thinking patterns and behaviors. Lauren often integrates a mindfulness based approach to emphasize the importance of focusing on one's present experience in a non-judgmental way, thereby decreasing the negative impact of critical thoughts and self-talk.